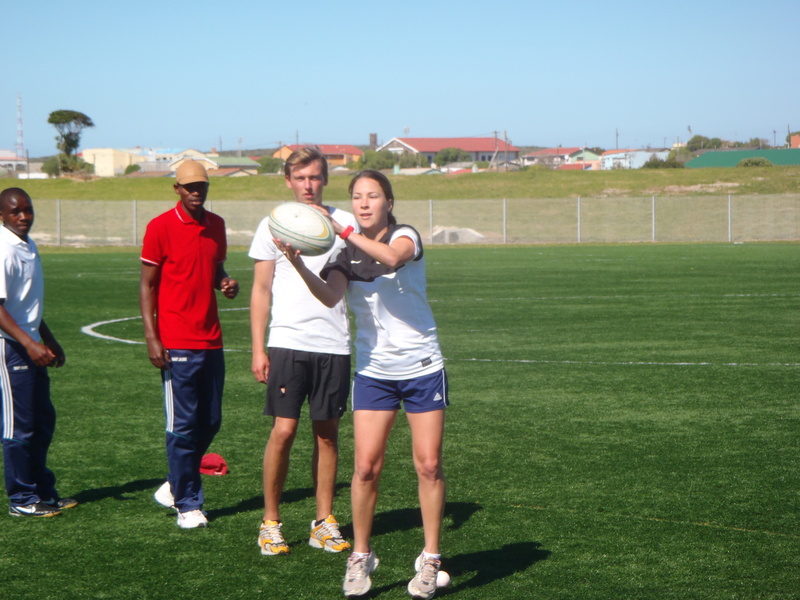 October 17th, 2012: Coaches Across Continents returned to Gansbaai, South Africa for year two with a very committed partner program, Football Foundation of South Africa. This week has been a very interesting week for CAC as we have seen how our games and approach to football for social development can be adapted and molded to fit netball, rugby and field hockey. Of the group we coached, half had participated in year one with Coaches Across Continents and remembered many of the games on day one when we did a recap. Not only did they remember the games but explained to us how they had used the games with their youth teams. Coaches on the last day with their certificates! are sportsmen and women as well as aspiring coaches. The idea behind the volunteers participating in the program is that they can teach these games to the children in Gansbaai who participate in the Football Foundation of South Africa’s programs. Apart from one rainy day, the weather was perfect for the training sessions. The one rainy day, in fact, gave CAC the opportunity to lead the coaches in team building sessions and also to use the time to gain feedback about the challenges the coaches face in their community. Coaches expressed the difficulties they face getting the kids to stay in the sports programs for longer periods of time, of getting kids of all races to play together and of overall bad attitudes exhibited by the youth. Coach Sicelo Heukile closed the discussion with his approach to coaching and explained that he uses the games to connect skills on and off the field, so for example if the youth are playing a football game about protecting and shielding the ball, he will begin by asking the players what it is in their life that they want to protect and why. He is an amazing coach that is always thinking of ways to engage and teach his players. There were many highlights of the week but from the perspective of CAC, it was really encouraging to hear one coach point out during the conversation about the problems they deal with as coaches, is that they are the ones that need to figure out solutions to their own community’s problems because they are the ones that understand where the youth are coming from and are in positions to influence the youth. 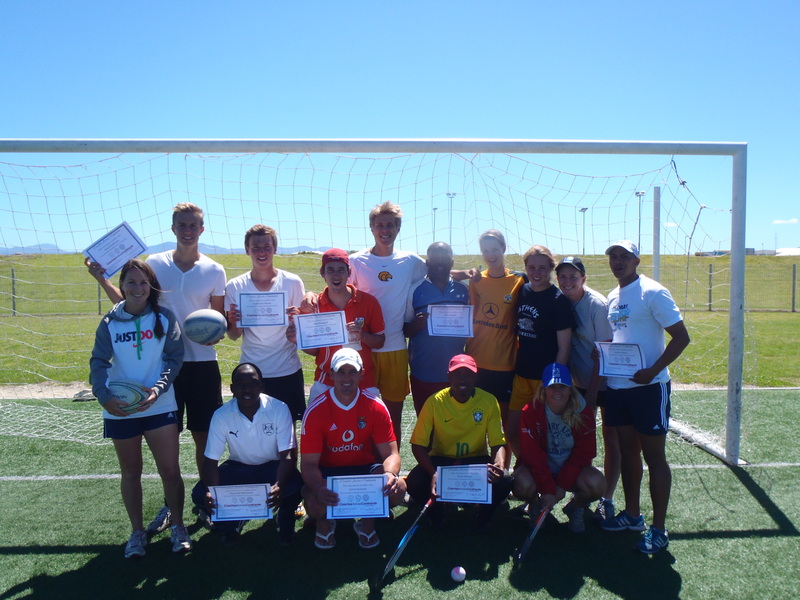 On the last day the rugby and field hockey coaches organized trainings for the newbies to the sport. They taught the basics in a way that was similar to the approach CAC uses for football for social development- everyone was involved, teamwork and communication were instrumental and it was fun. It was a great way to end the week! Next: Sophie joins the Coaches Across Continents On Field Team.